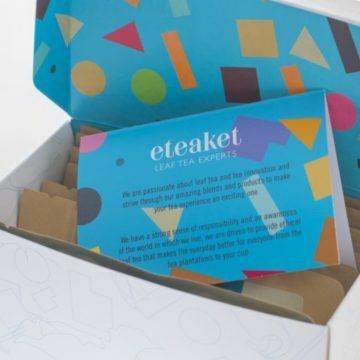 Join eteaket Tea Club to get a selection of awesome teas delivered to your door every month. Benefits include infuser mug, tea bag tote & 15 % off online. International shipping options available during checkout. You will receive a Coveted Collection gift box (worth £13.95) containing 7 special teas to get you started on your tea tasting journey (Isle of Harris Gin Tea, Tomatin Whisky Tea, Sea Buckthorn Infusion, Yellow Gold Oolong, Jasmine Pearls green tea, Second Flush Darjeeling black tea and Silver Needle white tea). 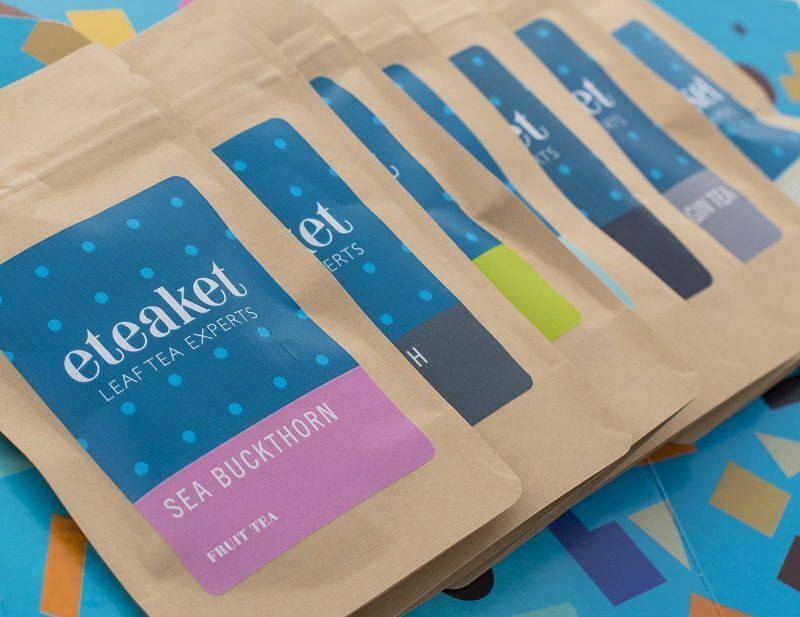 At least 10g of each tea – a lovely pot of tea for every day of the month. You’ll also receive a handy Infuser mug (worth £9.95) to make brewing loose leaf tea a doddle and a handy Tea Bag tote (worth 8.95) to keep everything together. As if that wasn’t enough, you’ll also receive our Periodic Teable to keep you on track as to brewing time and temperature and a lovely discount code for 15% off all online orders for the duration of your subscription. Then every month we’ll delight you with a selection of 3 other special teas (3 x 10g) to enjoy in your fabulous new infuser mug. If you’re buying as a gift just check ‘ship to different address’ during checkout. We’ll make sure the recipient doesn’t see any price details. You can also add a free gift message in the ‘order notes’ box and we’ll ensure it’s included. If you need to change the delivery address at any point just email us at [email protected] and we’ll update your details. Choose either 3 months, 6 months or 12 months subscription and add to basket now. Open your mind and experience the different varieties, tastes and textures of tea from all over the world. Steep yourself in its history and origin, stew over the flavour notes and mouthfeels – tea really is the most varied beverage on the planet! From bespoke black teas, flavourful fruit and herbal blends, gorgeous green and white teas, we will also throw in Limited Edition tea blends, just for good measure – every month is different giving you the chance to explore all varieties. You really are about to embark on your very own tea exploration. This isn’t your standard tea club, we will be sending bespoke and rare blends from Anhui to Zhejang, and as members of the Ethical Tea Partnership all our teas are socially and environmentally sustainable. 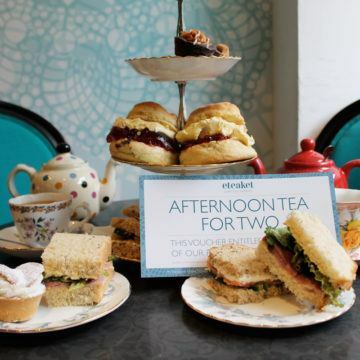 With the tea club you’ll also learn how to serve the perfect cup of tea with our timing and water temperature suggestions. Our unique Periodic Teable, included with the first month will give you ideas for the next step on your tea tasting journey. 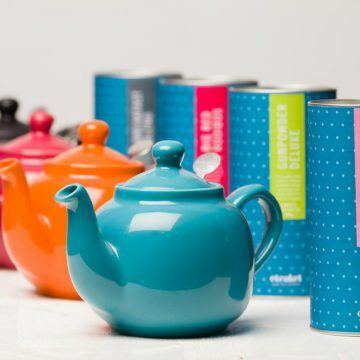 This is the perfect gift for the tea novice or tea connoisseur or why not treat yourself! Don’t miss out – add to basket now.